Dubai: A number of consumers in the UAE could see their energy bills drop as solar panels have recently been installed in hundreds of homes. A total of 7,756 photovoltaic (PV) solar panels have just been retrofitted on the roofs of 554 villas in Hatta, which is about 132 kilometres from Dubai’s city centre, the Etihad Energy Services Company (Etihad Esco), a subsidiary of Dubai Electricity and Water Authority (Dewa), announced on Wednesday. Solar panels draw energy from the sun, which can be converted into electricity. It’s been used by many households worldwide to primarily cut down spending on power bills. 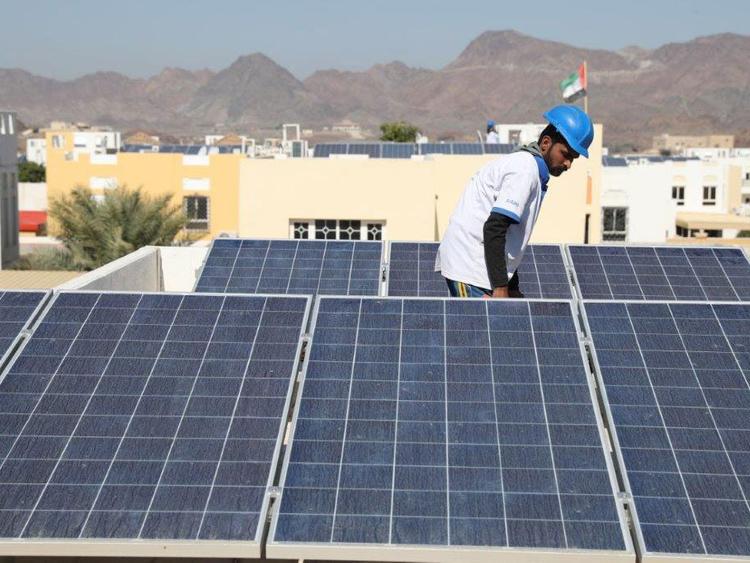 The newly installed panels in Hatta are expected to generate 6,520 kilowatt hours (kwh) of power for every villa per year, which can be enough to light up a home for months without tapping into the electricity grid. In the United States, the average annual electricity consumption for a typical home is 10,399 kwh every year, or an average of 867 kwh per month. In Dubai, each person is estimated to consume around 12,500 kwh per year, enough to power 130,000 light bulbs at 100 watts for an hour. The installation of solar panels is part of Dewa’s Shams Dubai initiative, which seeks to generate more than 3.6 million kwh of energy annually out of 554 retrofitted villas, and link these homes to Dewa’s grid to allow for transfer of any surplus power. The project is expected to reduce carbon dioxide emissions in Dubai by 2,159 tonnes every year and hopes to encourage other property owners to also install solar panels on their rooftops. According to Ali Al Jassim, CEO of Etihad Esco, the project will not only reduce carbon dioxide emissions, it will also boost efforts to reduce energy demand by 30 per cent in 2030. “We are glad to have accomplished our goal of time-bound completion of the Hatta solar retrofit project. The initiative supports the Hatta Comprehensive Development Plan, which was launched by His Highness Sheikh Mohammed bin Rashid Al Maktoum, Vice President and Prime Minister of the UAE and Ruler of Dubai, with an aim to transform Dubai into one of the most sustainable cities in the world,” Al Jassim said.